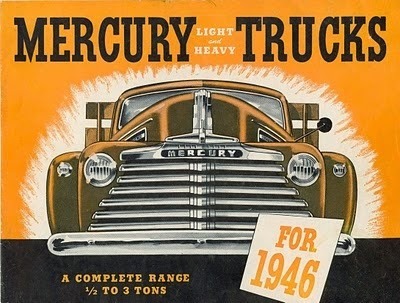 While we're on the subject of trucks, another almost forgotten part of automotive history includes Mercury trucks. 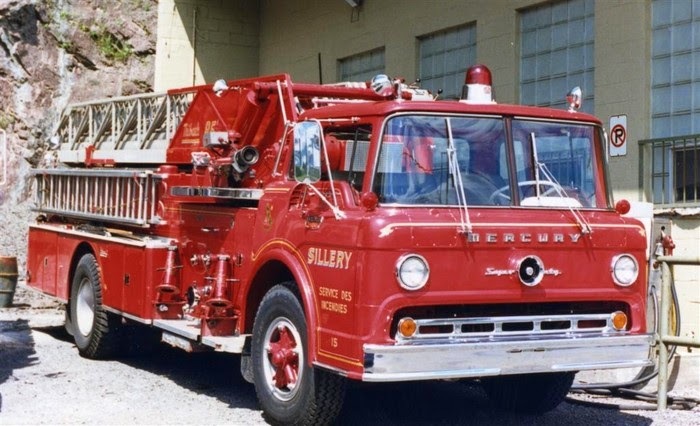 With the brand now defunct, Mercury has joined the list of other orphaned brands like Graham, Packard and Plymouth. 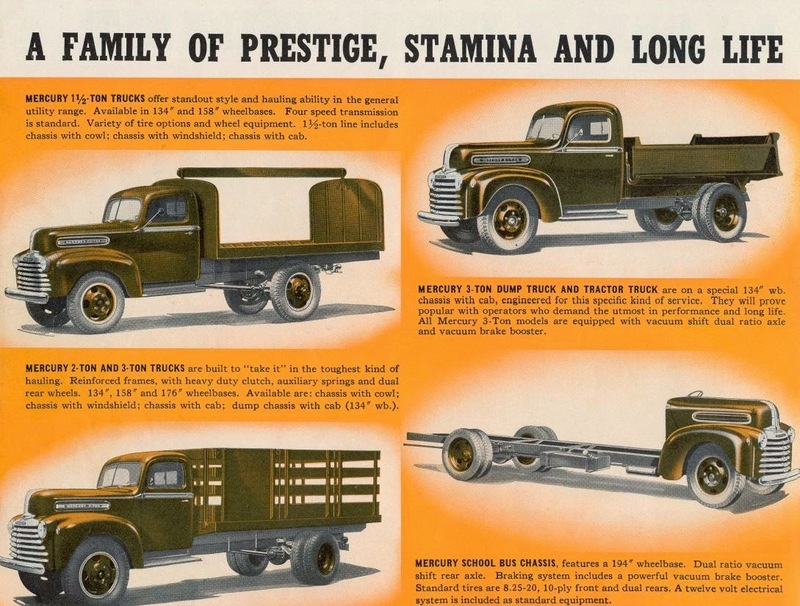 Rolling back the clock to the Post-War era, the Mercury brand (the affordable Lincoln) included a very complete truck line-up. 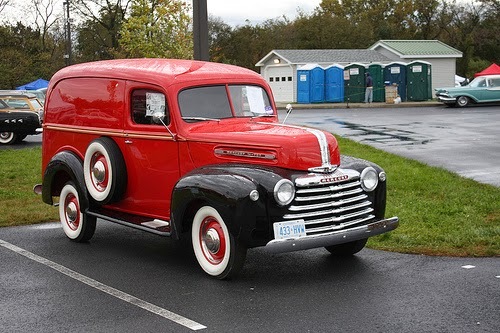 The trucks created to support the Canadian market where due to sparsely populated areas the market often had either a Ford or a Lincoln - Mercury - Meteor dealer, but rarely both. 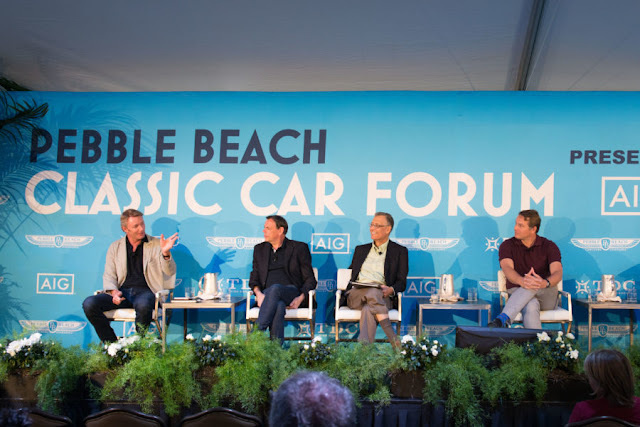 This provided the availability and servicing of Ford/Mecury trucks without requiring customers to make extended trips for their truck-based needs. Speaking of Meteor, the brand was an attempt at introducing a low priced vehicle (in the Ford range) for a similar reason. Although they were produced from 1949 to 1976, there are gaps in years produced, the result of name trading between the Mercury and Meteor brands. As with numerous other cars and trucks, vehicles created specifically for the Canadian market included various name and/or styling changes. 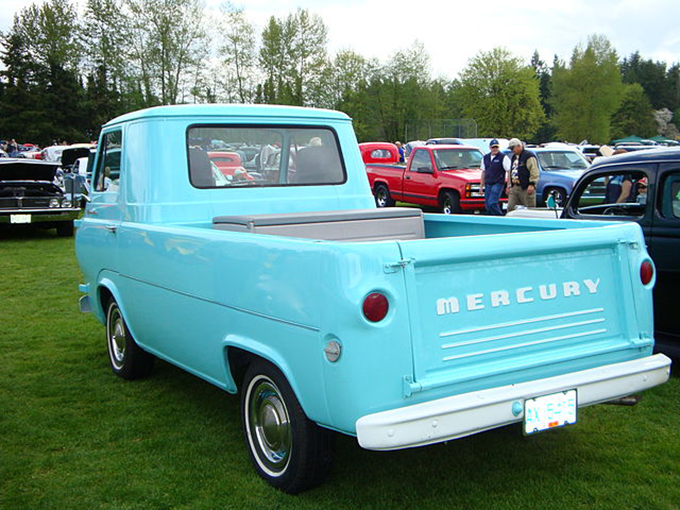 Although there were no details we could find as to exactly why, the assumption is, as you could only buy Mercury trucks in Canada and with the Mercury name representing an upmarket brand, there was little reason to cross over into the US to buy the Ford version. 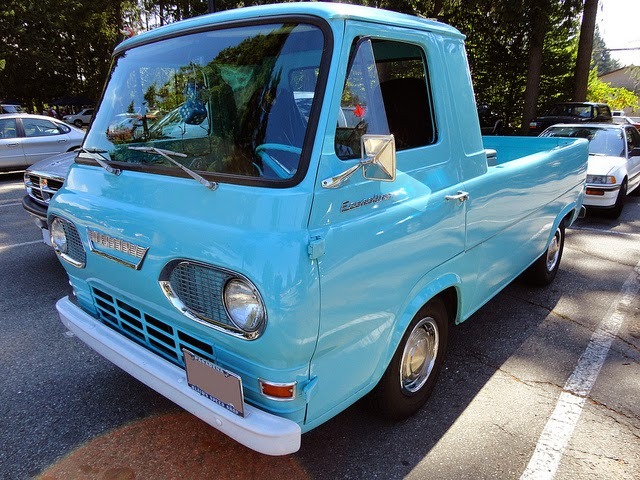 Included everything from pick-up trucks and other light duty trucks line the Econoline and Ranchero to the medium duty B (bus) and C (cab-over) Series. 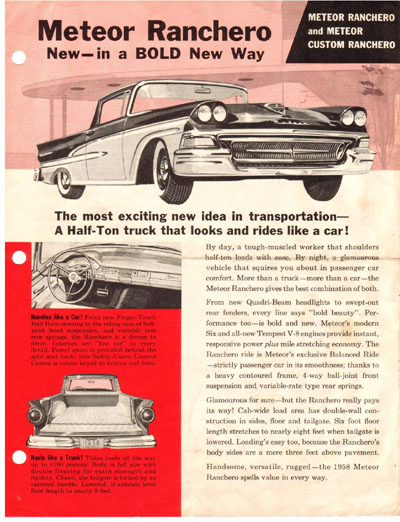 The Ranchero was based off the Falcon in the early '60's before returning to a Fairlane/Torino based platform. Bet you never saw one of these before.